After last weeks failed attempt at playing Far Cry 2 I figured I would try something a little less realistic and over the top. For this I turned to Saints Row: The Third, and before I knew it I played the game start to finish, so instead of talking about it in this weeks segment, I will save it for a review. So instead I will get back to the roots of gaming on the go and I will talk about a few iOS games I have been playing to keep me occupied. 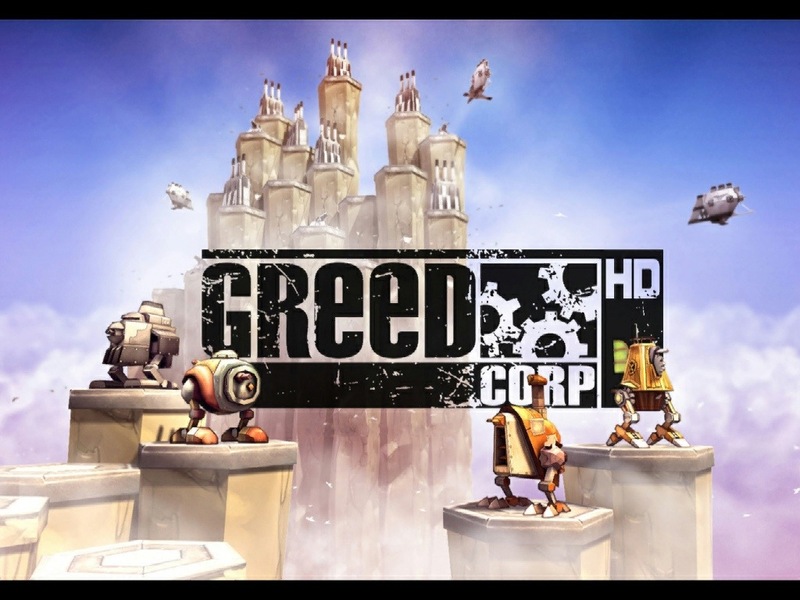 The first game I have been playing to kill time is Greed Corp. For those that have never heard of it, Greed Corp is a turn based strategy game, you goal is to eliminate opposing player on the map. 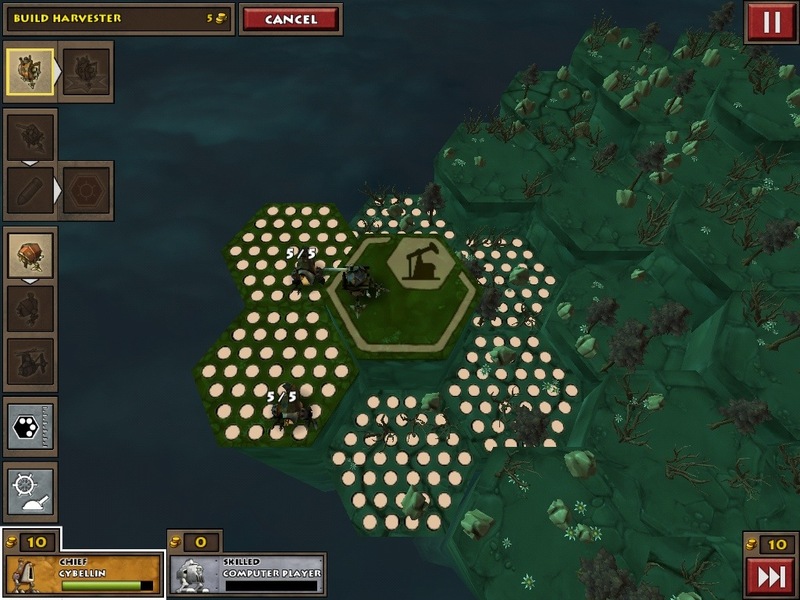 To archives this goal you have one type of infantry that can only move one space at a time, three buildings: a barracks, a cannon, and a harvester for resources, and a transport vehicle to move your infinity large distances. Sounds pretty simple no? Well it’s not! That is because every turn your harvesters will slowly destroy the tile it is placed on along with every tile that is directly a touching it! Slowly it destroys the ground beneath it until the tile goes critical, which means the next turn that tile will be permanently destroyed and fall away. Here is where the real strategy comes in, poorly placed harvesters, or units could be the breaking point between winning and losing. The cannons also damage the tiles it targest, if you target a critical tile, it will destroy it causing a chain reaction that will destroy every critical tile that is joined to it. With a well placed shot and good timing you can essentially cripple an enemy with a single bullet. Poorly planning however and you are no longer able to attack your target with your troops, meaning you have to rely on the transport to move troops which is very costly. More often that not I am left with 2 tiles, and my opponent is in the same boat, meaning it is a race to get troops and transport to win the match… not exactly ideal. Greed Corp is a lot of fun, but lacks very simple elements that make the game frustrating. For example there is to save ability, meaning you have to start and finish a map. This really bothers me because I do not always have time for a full game, and if I close the app my progress is gone! Second there is not restart map option. So if you mess up, you can wait until the game ends ore quit to the main menu. 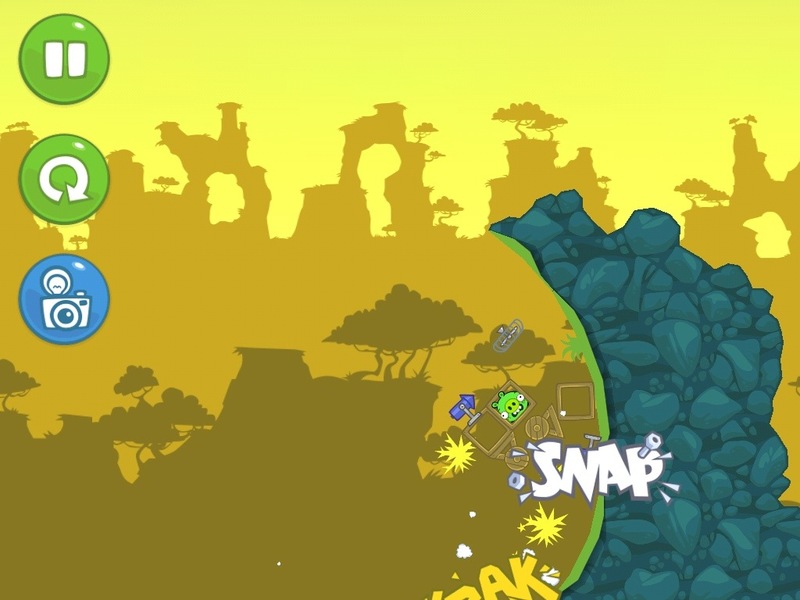 Bad piggies is a spin off title from the Angry Birds series from Rovio. 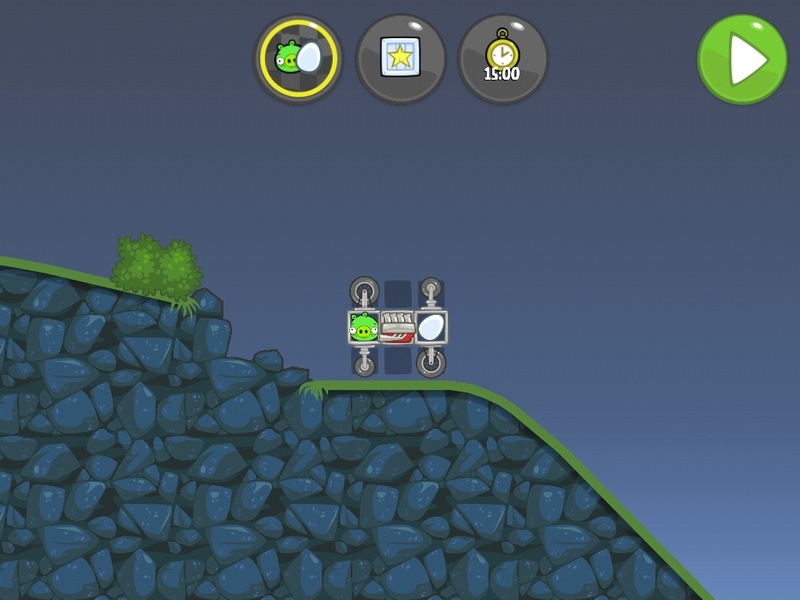 The object of the game is to build machines to carry a pig across a finish line. 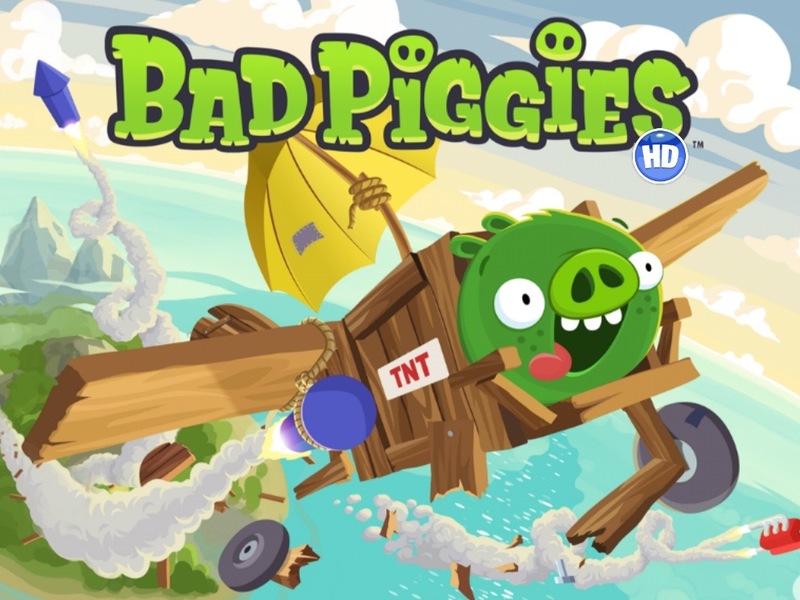 Each level offers 2 different challenges as well which range from, finishing the leave under a set time, not using specific components, gathering star boxes, finishing with out damaging your ridiculous contraption, or passing the finish line with you pig and a king pig at the same time. Some of the challenges are near impossible and really involve thinking out side the box. On the plus side you do not have to complete all in one attempt. If you manage to pass one of the challenges, you can replay the level to attempt the other. At first I really did not enjoy the game at all. That opinion changed quickly one day when my machines acted in a completely you expected matter and I broke out into a uncontrollable laughter… the people sitting at the table around me though I was crazy. I knew form that moment I was hooked and have been trying day and night to get all three stars in each level. Well that is it for this week! 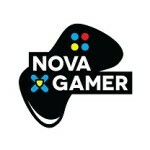 I can honestly say I am really missing my Xbox, but I will be reunited soon!